Long before I took Biology and Chemistry of Food class at Northwestern University I knew what we eat matters. After all, I had years of practical experience. I could eat a bowl of oatmeal for breakfast and feel alert and strong through the morning. Or I could eat a donut and fight sleep and lethargy halfway into the first class. But what I wondered about before taking the class was: Could food improve my memory and capacity to learn? According to modern research, the answer was a resounding YES! What we eat influences neuronal function and synaptic plasticity, which in turn has a profound effect on brain health and mental function. Too much sugar in a diet “undermines spatial learning and memory skills,” while greater consumption of fruit and vegetables is associated with higher IQ and better memory skills. Diets with high levels of trans- and saturated fats interfere with the circulation system of the brain, impeding the flow of oxygen to the brain and actually impairing learning and memory. While people who eat baked fish on a regular basis have 14% greater gray matter volume in their brain area responsible for cognition. When I started having children I went into an overdrive. It was obvious I didn’t want to feed them sugary and processed foods filled with preservatives, additives, artificial flavorings, saturated and trans-fats. I wanted them to eat healthy proteins (like fish, lean meat, nuts, and dairy), whole grains (complex carbohydrates), healthy fats (olive oil, salmon, avocados, nuts, and seeds), and lots of fruits and vegetables. I knew what I wanted. What was not obvious, however, was how to get them to eat the foods I wanted them to eat. Children, as it turned out, have their own ideas about what they will or will not consume. I needed to devise a whole new set of recipes to keep my kids from asking for unhealthy snacks. 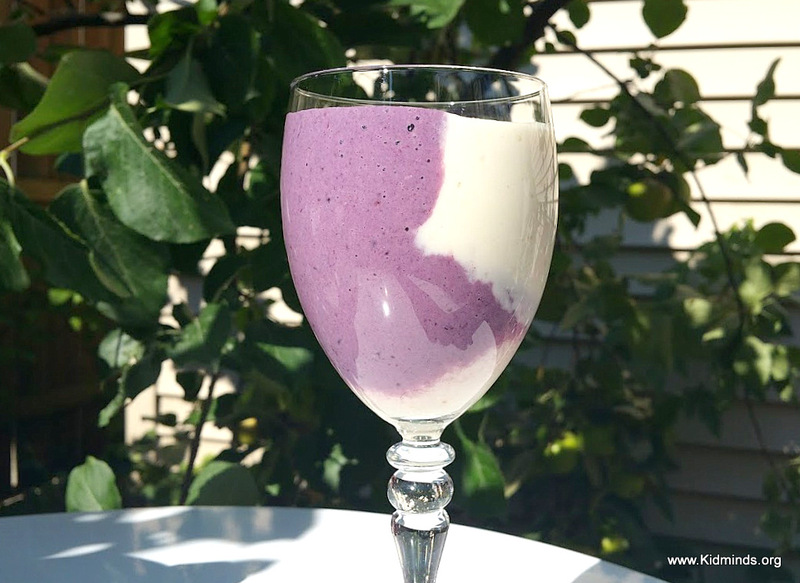 This smoothie is a healthy snack that is popular with all three of my kids. Not only it provides more nutrients that can possibly be consumed in an original form in one setting, but kids think it’s the best snack ever. What is more, it’s an easy way to keep kids hydrated. You might not always be able to convince kids to drink until they actually feel thirsty, but research shows that by the time one registers a feeling of thirst, there might be a 10% decline in cognitive abilities. My kids like to help me make it, but on the days when they are not looking, I like to sneak in handfuls of spinach, chia seeds or walnuts. They are happy to drink it as long as they don’t know what it is. 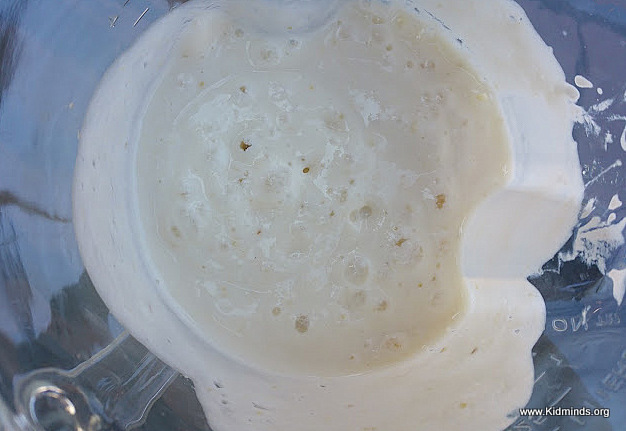 I call it a Brain-Boosting Smoothie because of the nutritional properties of its components. Brain neurons are vulnerable and can be damaged both by toxins from the environment and toxic byproducts formed in our own bodies. The first line of defense is consumption of antioxidants from food. Blackberries have the highest antioxidant content of all fruit (per serving). Rats that are fed blackberries as part of their diet perform better on memory tests! Pears are members of the rose family of plants. 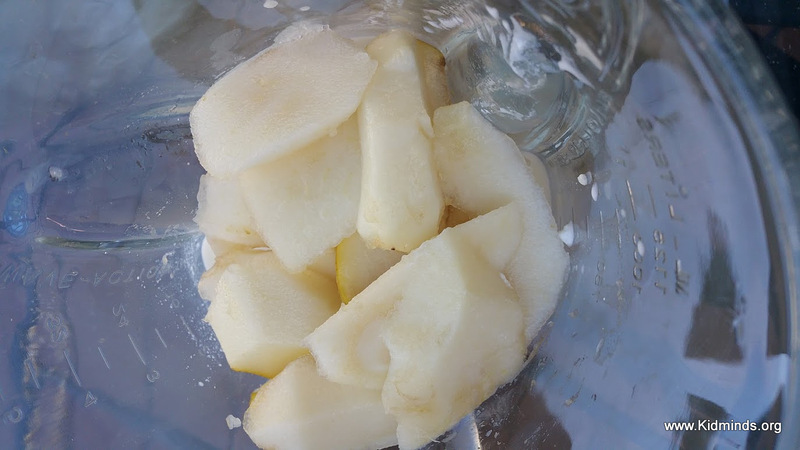 Like blackberries, pears can protect the brain from oxidative stress. The high fiber content slows the release of sugar into the blood, keeping your brain alert thereby maintaining a capacity for thought and a good memory. Banana, which is biologically speaking is classified a perennial herb (not a tree, because the stem does not contain true woody tissue), is another brain food. It does all sorts of wonderful things for the body, among them providing a healthy dose of Vitamin B6. In a memory study, men with higher levels of B6 outperformed the men with lower levels. Bananas are also rich in magnesium, which is fundamental for the processes of learning and memory. In rats increasing the level of magnesium improved both long and short-term memory. 1. 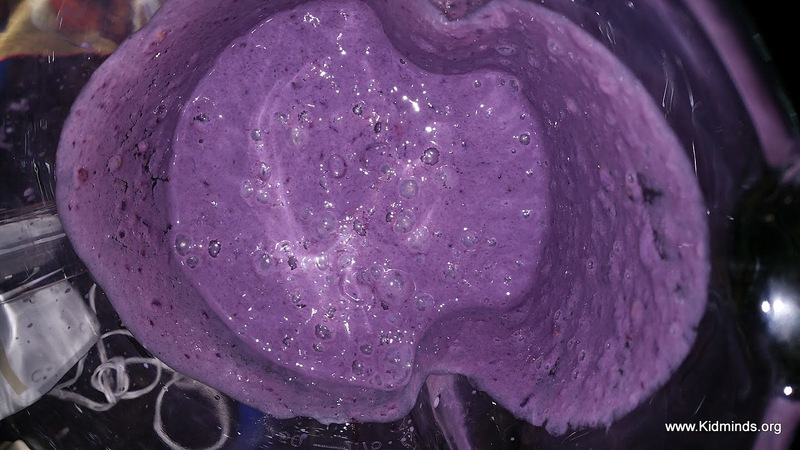 Process yogurt, banana, milk, and blackberries in a blender. 2. 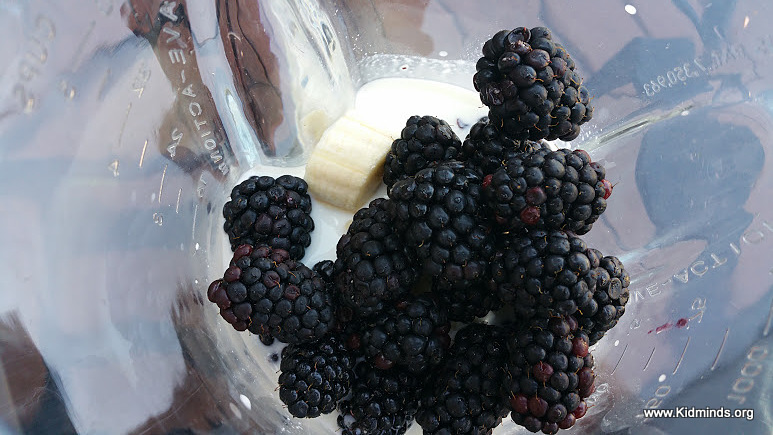 Pour Blackberry smoothie into a small pitcher and place in a refrigerator. 3. Rinse out blender and dry. 4. 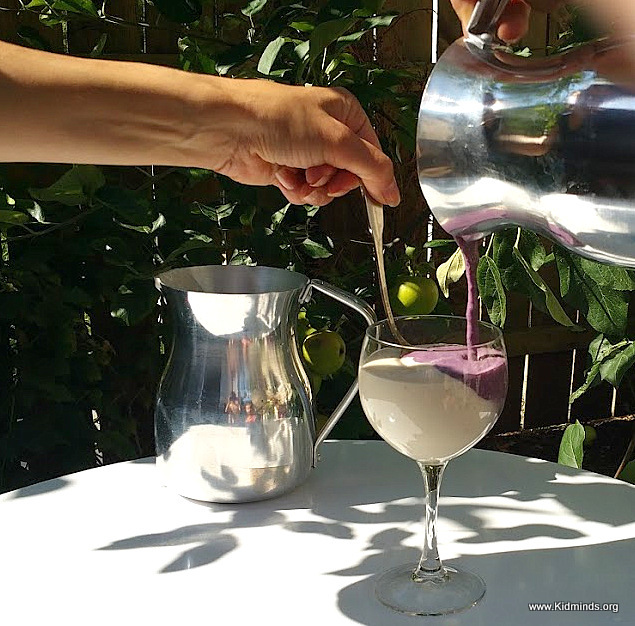 Process yogurt, banana, milk and pears in a blender. 5. Pour Pear Smoothie into another pitcher. 6. Combine the two colors in a glass. 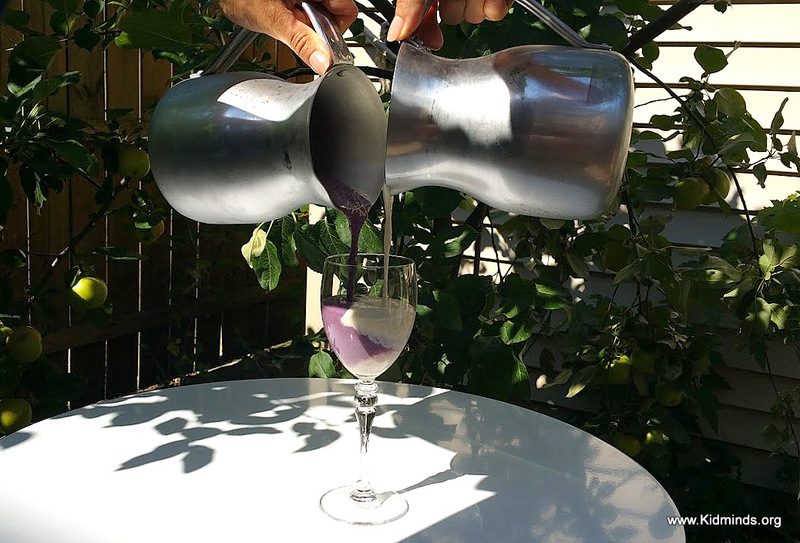 You can pour from both pitchers at the same time for a fun two-color smoothie. Or fill the glass halfway with one color, then add the second one over the back of a spoon. 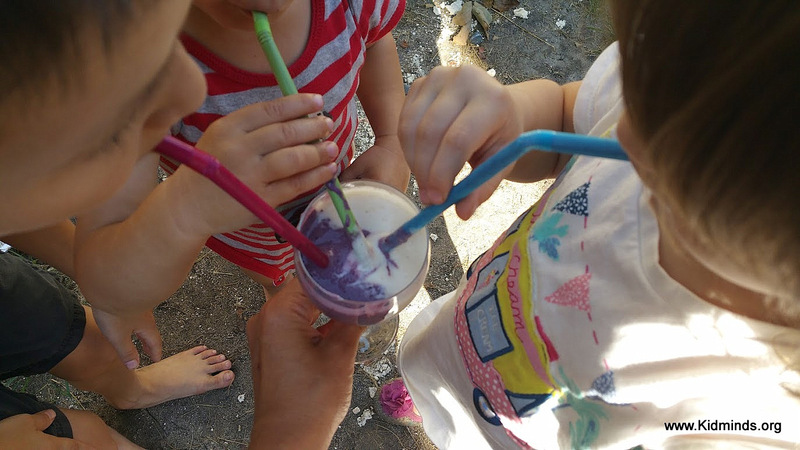 This smoothie is one of a few numbers of things that ALL my kids like. Hey Buddy!, I found this information for you: "Brain Boosting Smoothie for Kids and their Parents". 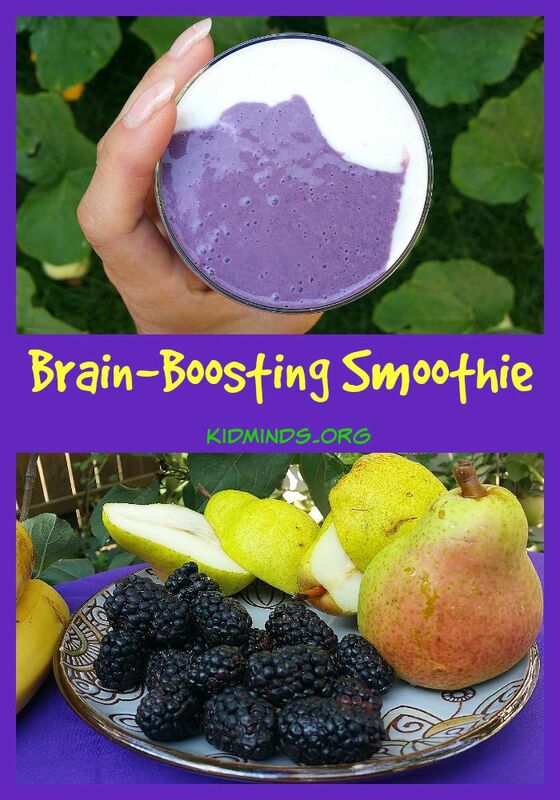 Here is the website link: http://kidminds.org/brain-boosting-smoothie-for-kids-and/. Thank you.